Many of us have noticed the sheer amount of litter on our beaches, and in our oceans. Plastic on our beaches has increased 180% in the last 20 years, and is causing serious problems for our oceans’ health. It is estimated that over 100,000 marine mammals and turtles and over a million sea birds die every year as a direct result of marine litter. The majority of marine litter is plastic. Every piece of plastic ever made still exists. In the UK we use 13 billion plastic bottles every year, and they are one of the most common things found on UK beach cleans. You’ve probably seen them yourself, dotted around the place. If you haven’t, just keep an eye out next time you’re at the beach and I guarantee it won’t be long before you bump into a rogue bottle. Pickng them up and removing them from the environment is a great step to help protect our oceans, and I encourage you to do so! With the advent of, for example, Surfers Against Sewage’s community beach cleans and the #2minutebeachclean, more and more people are understanding the positive impact that they can have by removing a couple of pieces of litter from their beloved beach every time they head down. This August, I am going to Stand Up Paddleboard 260 miles around the entire Cornish coast and into North Devon, from Wembury to Croyde. That’s the equivalent of 10 marathons. It isn’t going to be easy, and I have never embarked upon a challenge like this before, but I hope to demonstrate just how easy it is to use less plastic in our lives, and as a result to reduce the amount ending up in our oceans. Training is well underway, and I will freely admit to loving the opportunity to eat more carbs then you can shake a stick at. The six pack is coming on well, although is currently looking more like a three pack after a 6 hour one-sided paddle against onshore winds last weekend! Visit the SAS shop for reusable water bottles! Instagram @paddleagainstplastic – use the hashtag #paddleagainstplastic and post your pics with reusable water bottles – best pic wins a prize! We’ll be having Beach Cleans and fun events along the way and would love for you to join – please see below for dates. 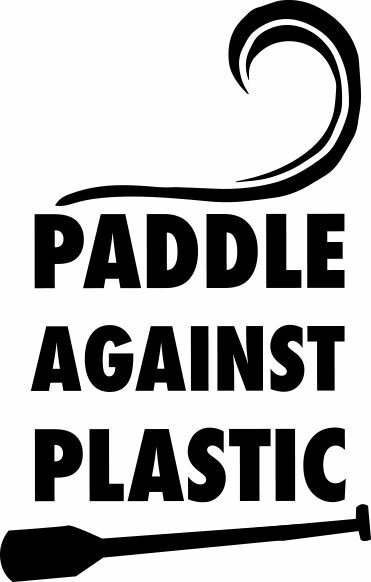 More information can be found on the Paddle Against Plastic 2016 Facebook page. Previous Welcome to Paddle Against Plastic!